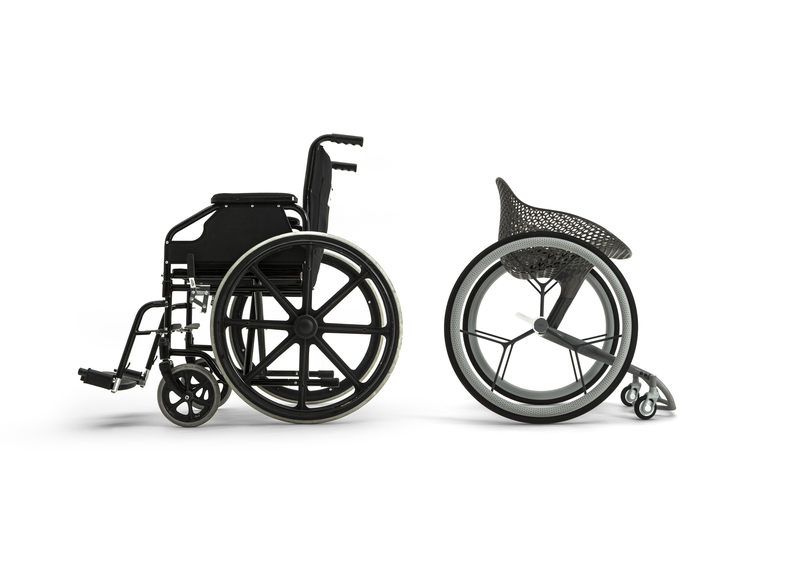 For all their being motion-enabling platforms, wheelchairs are themselves rather static. A frame of steel and aluminum supporting foam-filled leather or plastic, with a handful of settings that may or may not accommodate the user’s specific condition. A London design firm has worked for two years to create an alternative: a 3D-printed wheelchair made to fit exactly the shape and needs of its rider. The GO wheelchair (not to be confused with the HU-GO, another 3D-printed wheelchair project) is the brainchild of Benjamin Hubert, director of London design agency Layer. The GO isn’t just a catch-all design that happens to be 3D printable. 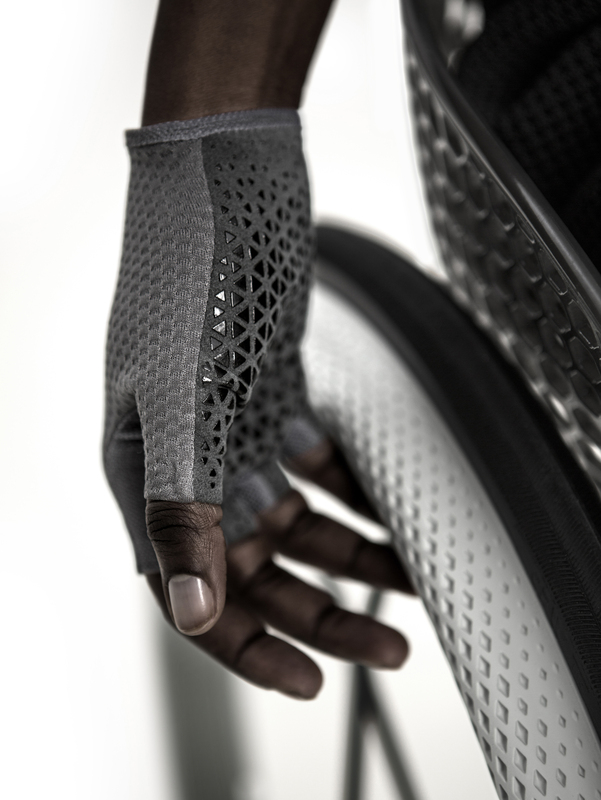 Layer partnered with 3D design firm Materialise to create an end-to-end customization process. The user’s body is actually scanned and their needs assessed; that information is synthesized into a one-piece seat made to their specifications. For instance, someone with a spinal injury midway up the back might require more support and a taller seat-back, while someone who has lost a leg might want things to be adjusted to take her off-center balance into account. A seat that’s made to measure is likely a more comfortable experience over the many, many hours users spend in their chairs. “This turns out to be a very viable solution for something that needs a very finely tuned form, to respond to the needs of a very sensitive user base,” Hubert said. Only the seat (printed on a large-format device — it won’t come out of a desktop printer) and footrest (sintered aluminum for durability) are custom-designed; the rest is constructed of off-the-shelf parts, to keep the costs down and repairs simple. The company has been in dialogue with wheelchair users and designed things with their feedback; the GO isn’t quite ready for wheelchair basketball (“those chairs are tanks in their own right,” said Hubert), but players were consulted anyway. Heavy users suggested one other improvement: the push rim on the wheel is usually just a round of metal — simple and durable, but not the best for grip, and in fact the poor ergonomics can lead to stress injuries. Layer designed a sheath with an “almost BMX bike” grip texture and special gloves to use with it. The creation process, after biometrics are collected, is finished by the user in an app that lets them select optional elements and print colors. Layer claims to be able to manufacture and deliver a chair in two weeks, a considerably shorter wait than other custom solutions. Right now the GO is still in prototype form, and will be on display at Clerkenwell’s Design Week later this month. Hubert said that the design is mostly finalized, but now faces scrutiny from the National Health Services and the European counterparts to the FDA. But medical providers, wheelchair makers and sports companies are already interested in the design, he added.